Small changes form new habits that not only benefit your environment, but also your health and your wallet. The good news is that everyone can make simple, small changes that add up to make a big difference. At home and in your community, the actions you take can have an impact. Pretty soon, small changes form new habits that not only benefit your environment, but also your health and your wallet. The Sustainability Consortium: Benefits of Using Cold Water for Everyday Laundry in the U.S.
Research shows it takes 30 days to change a habit. 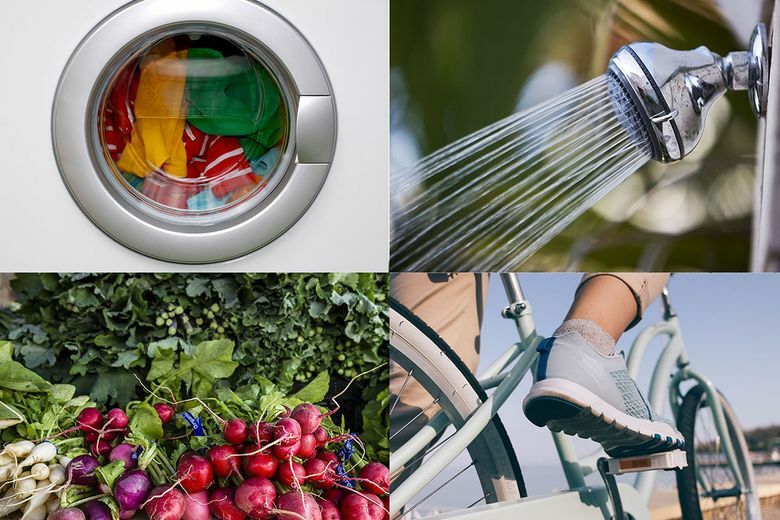 Try taking The Nature Conservancy’s EVERY1 Climate Challenge to change just one of these four small habits for starters. Take shorter showers. Water consumption in the U.S. is rising along with our population, and the amount of fresh water available is decreasing, in part due to climate change. If every person in Washington shortened their shower by five minutes for 30 days, we’d save nearly three trillion gallons of water, along with cutting costs on water bills. Wash clothes in cold water. Did you know it takes five times more energy to run a load in your washing machine in hot water than cold? And, your clothes may not be getting any cleaner. According to Consumer Reports, today’s detergents contain high-power enzymes that kick into action at temperatures as low as 60 degrees. (Note that hot water is still necessary to sanitize.) So, go ahead and save energy and money on your utility bill. If you want to go the extra mile, line-dry a load of clothes every week. Just one dryer load is equivalent to turning on 225 light bulbs for an hour. Choose car-free commuting. Seattle is consistently rated as one of the best biking cities in the U.S., as well as one of the best cities for bus transportation. Additionally, the INGRIX Global Traffic Scorecard recently rated the greater Seattle region, from Lynnwood to Kent, as the ninth-most-congested city in the U.S., with an average of 55 hours per year per driver spent in delays. Not only will car-free commuting cut emissions from transportation, but you’ll save money on gas and maintenance — and maybe even get more exercise! Eat less meat. Intensive livestock-rearing is one of the biggest sources of greenhouse gas emissions. Swapping out meat for veggies, beans, and tofu can trim your carbon footprint by as much as 25 percent, as well as boosting your health with more vitamins, minerals and other nutrients. When you do eat meat, support local, sustainable ranches that are also concerned with reducing their fossil fuel consumption. Lauren Newhouse of Seattle took two of the 30-day challenges. She committed to having one meatless meal per day, and also to making car-free commutes. The two changes have had little impact on her day-to-day life, which is the whole point of the challenge, she notes. 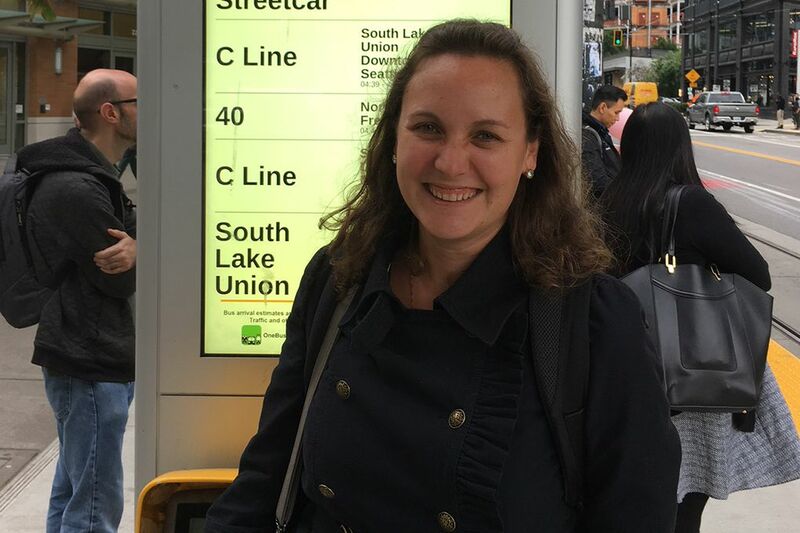 A car-free commute is part of the 30-day challenge for Lauren Newhouse of Seattle. Newhouse is excited about how making these small changes adds up to a big effect, as more and more people join in. On an individual basis, that means posting photos on Facebook and Instagram of your favorite new meatless meal, or the plump tomatoes growing on your deck. Maybe tweet a brag about the savings on your energy bills after a month of shorter showers and lukewarm laundry. According to research by The Nature Conservancy and 15 other institutions, our natural environment itself brings more good news to share: nature-based solutions could provide up to 37 percent of the emission reductions needed by 2030 to keep global temperature increases under the 2 degrees Celsius per year target established by the Paris climate conference in 2015. Healthy forests extract carbon dioxide from the atmosphere and minimize the fuel that spreads wildfire. Restored wetlands give rivers room to roam and decrease flood risk. Green infrastructure cools our cities and filters polluted air and stormwater. Find out what you can do to fight climate change in your community. If everyone works together, we can rise to the challenge. Visit The Nature Conservancy to learn more.